Blackjack is a game that has evolved throughout history, it is impossible to place its origins in just one place and time. It is, therefore, considered as rather special by fans of casino-based games, because it has been developed over time by players who really love the game. It is also still constantly evolving, thanks to the rise of online Blackjack. If you have ever wanted to know how to play Blackjack, now is the time to get in on the action. Read on to find out everything you need to know. 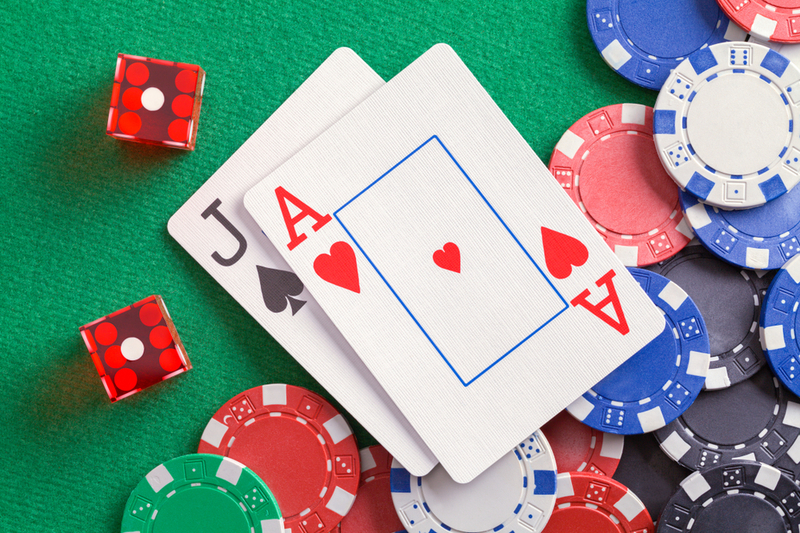 You will often hear the game Blackjack referred to as ’21’. Many looking at Blackjack for beginners mistakenly believe that the aim of the game is to reach 21, it isn’t, the aim is to have a higher value hand than the dealer does without going over 21. At the start of the game, the dealer will deal the both of you 2 cards, one of theirs they will place upwards so that you can see the value of when of their cards. You will need to look at your cards and decide on one of two options, stand or hit. You would choose to stand if you are satisfied with your hand and feel that it might be high enough in value to beat the dealer. If you hit you would be dealt another card in an attempt to increase the value of your hand. Once you have the new card you can choose to hit or stand again. Players keep going in this cycle until they either go bust, by having a value that is over 21 or until they are ready to face the dealer. If at this point, they have a hand with a higher value than the dealer, they win the bet. When it comes to playing Blackjack online, you really do need to understand the value of each card. The numbered cards are all valued at whatever the number they are, the 6 of hearts, for instance, would have a value of 6. Picture cards all have a value of 10, this is regardless of which suit they are. The Queen of Spades and the King of Clubs, for instance, would both have a value of 10. Aces can have a value of 1 or 11, this is decided by the player in order to help them build the best hand possible. If you are looking for Blackjack tips so that you can start playing the game online, the first thing you will need to understand is how bets are made. In a game of Blackjack, you might be playing with up to 6 other players at one time. Each person places their bet, whatever that amount might be and it can be different for each individual player, before the cards are dealt. Should you beat the dealer you will receive the amount that you bet back plus your winnings, this depends on the table that you play on or which casino you use. You can usually check what casinos payout as a percentage on their website. There are some other elements to the game of Blackjack that you might want to be aware of before you venture into the world of online Blackjack. One rule that you should take into consideration is pair splitting. This means that if in the first deal you receive a pair of cards you can split them and make two separate hands. You would need to double up on your bet at this point but it can be a good way to maximise your chances of beating the dealer. The double down rule is a tool to help you maximise your winnings if you feel like you onto a winner with your hand. It allows you to increase your bet once the hands have been dealt but the consequence of doing this is that you can only draw one single card. Surrender rules can also apply, although this is dependent on the casino. Under these rules, if you don’t like the initial cards that you have been dealt you can surrender them and receive fresh cards. The consequence of playing this rule is that you will lose half of your original bet. This rule cannot be played once players have drawn a card. Blackjack for beginners is so easy to pick up, many find that by playing a few practice rounds they can be ready to hit the casino and enjoy everything that the game has to offer.